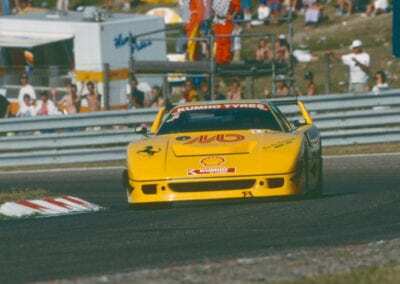 Colonel Ronnie Hoare. 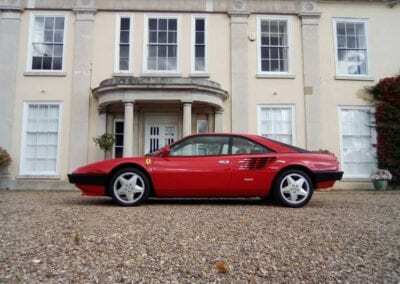 If you are not familiar with him, he’s a pretty important figure in Ferrari’s history in the UK. 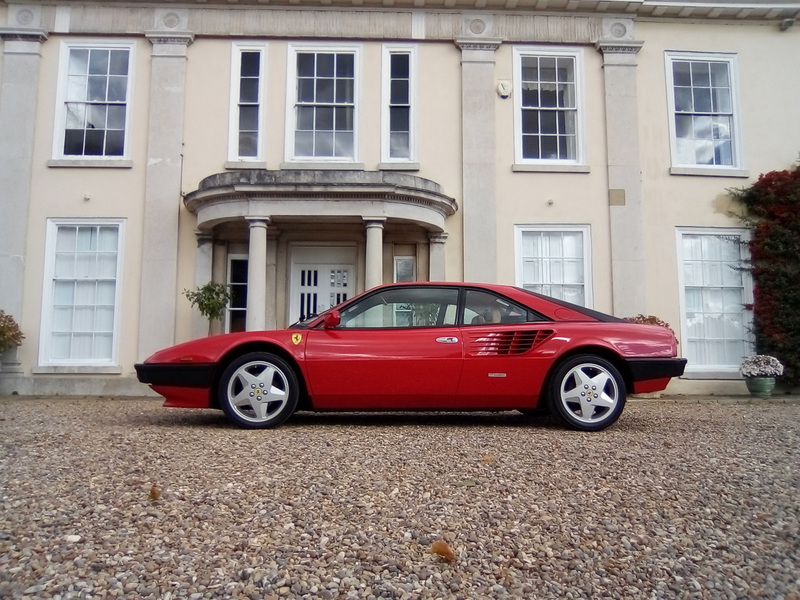 Ferrari’s most famous showroom in the UK is Maranello Concessionaires in Egham, just outside London, and for many years was the showroom to visit if you wanted to pay homage outside of Italy. I remember as a 17-year-old with a new driving licence driving there to drool over Ferrari after Ferrari. 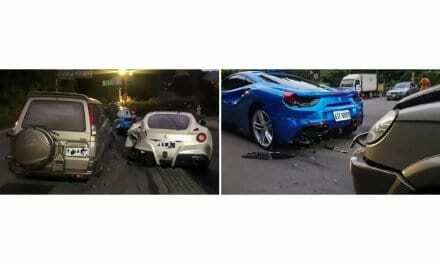 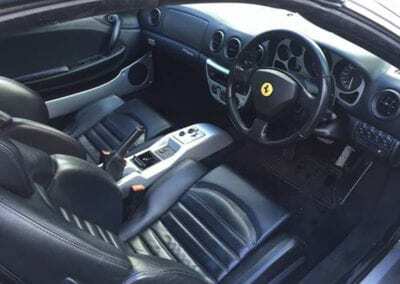 Note: SupercarTribe.com is not affiliated with Ferrari SPA. The showroom was started up by Britain’s first Motor Racing Champion, Mike Hawthorn, who won the F1 title in 1958. 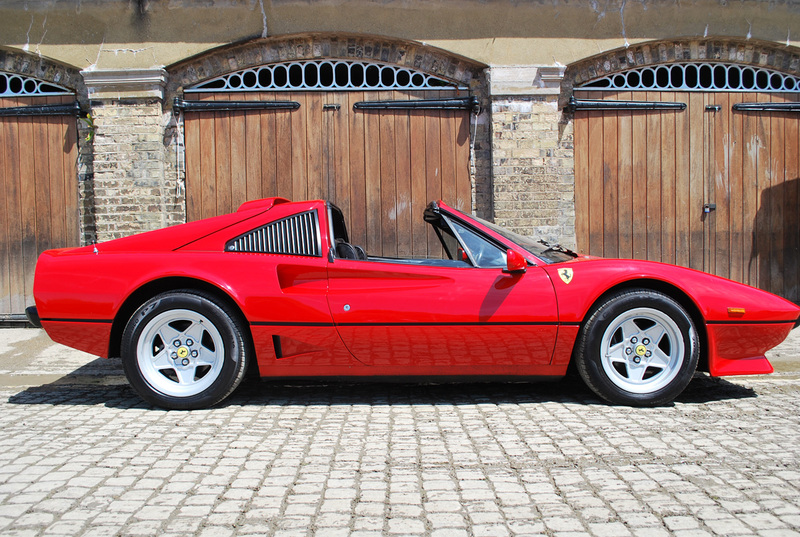 This win also convinced Enzo to allow him to sell cars in the UK. 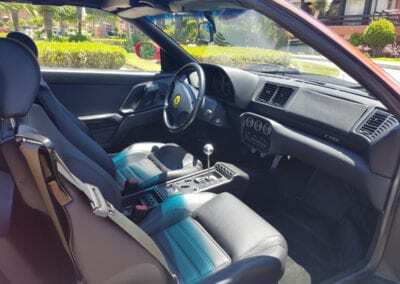 He had some success, but after a few years was forced to sell. 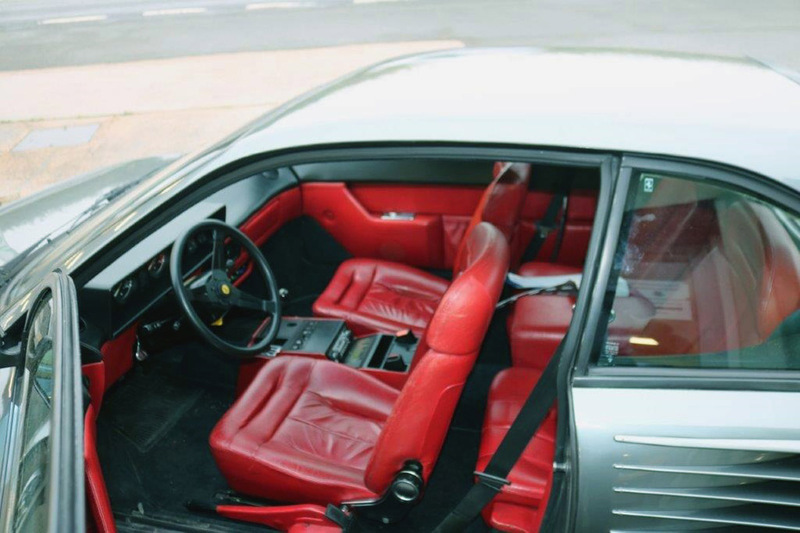 Enter Col Hoare, a car dealer and well-known figure in the UK racing scene. 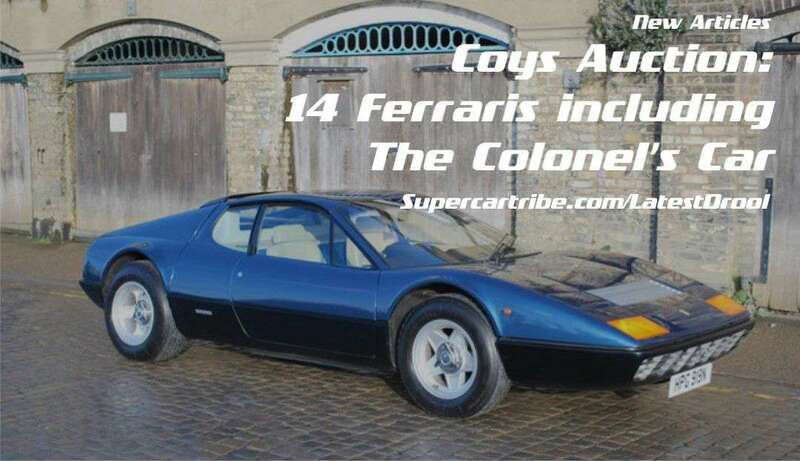 In the first year the Colonel sold just four cars across the UK, but he built that business year on year. 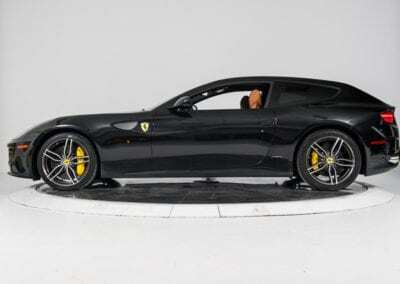 Today the import is managed by Ferrari UK and the figure is closer to 1000. 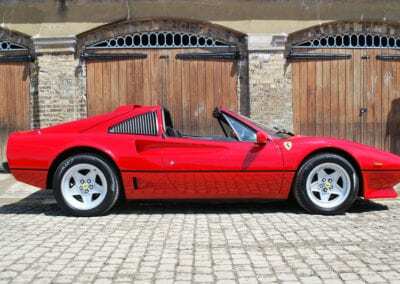 It’s fair to say that without the Colonel input, Ferrari’s second largest market would not be the UK. That’s why, when one of the Colonel’s personal cars comes to market, it’s a pretty bog deal. 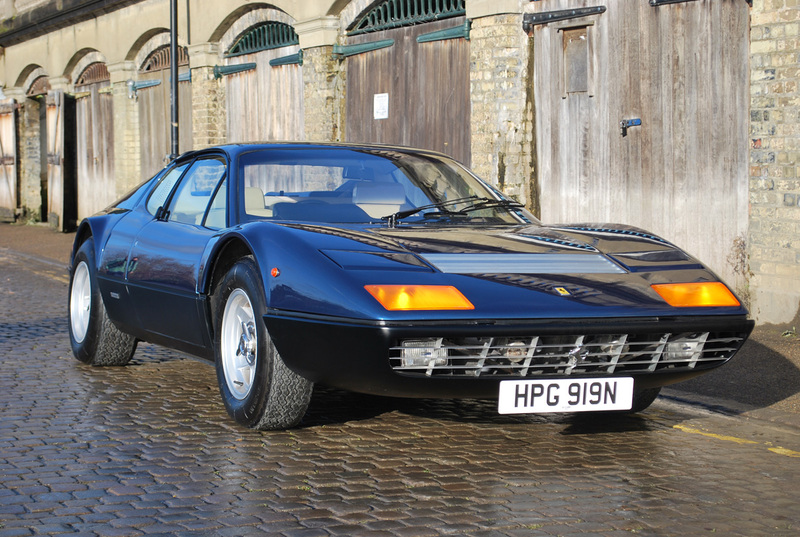 Tomorrow Coys have 14 cars going to auction, including a his 1975 365 GT4/Berlinetta Boxer, and a Michelotto spec F40 LM. There is something for everyone no matter how big or small your budget. 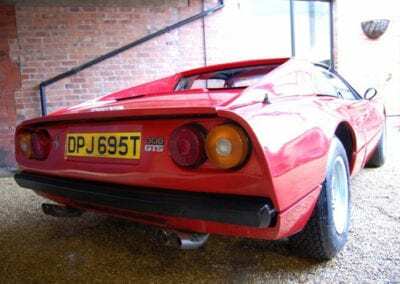 Full details below. 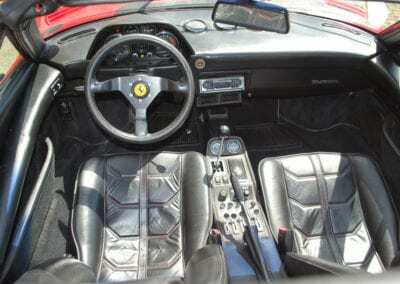 The Ferrari F40 is a mid-engine, rear-wheel drive, two-door coupé sports car built from 1987 to 1992. 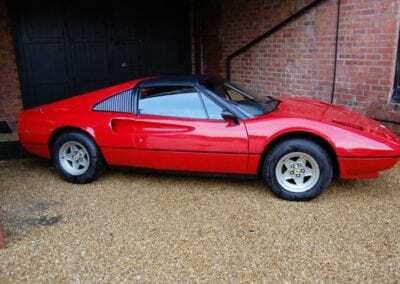 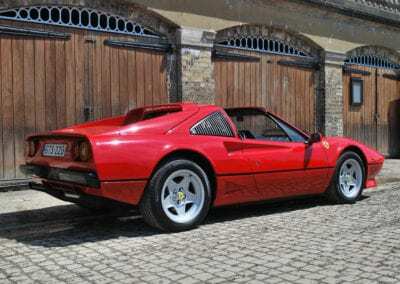 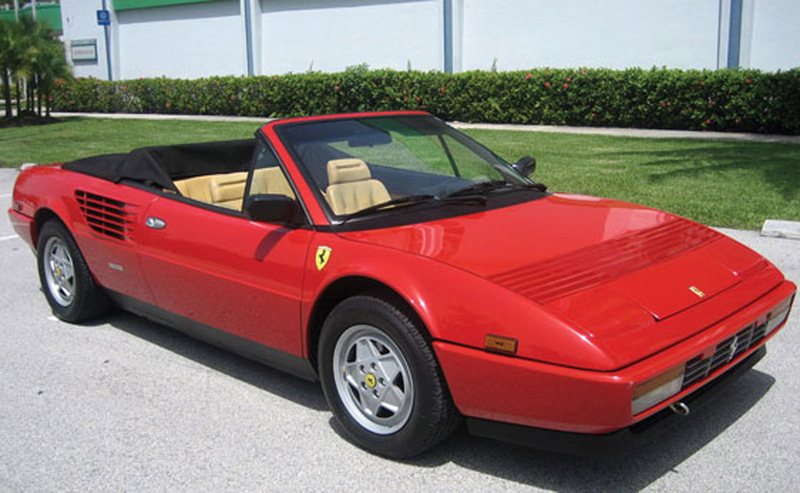 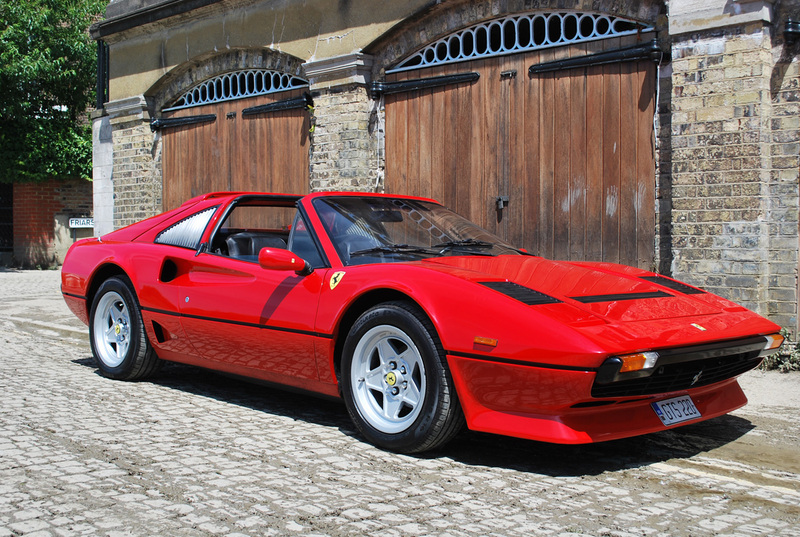 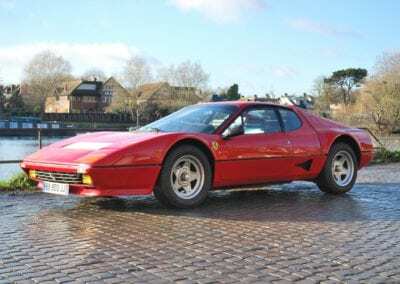 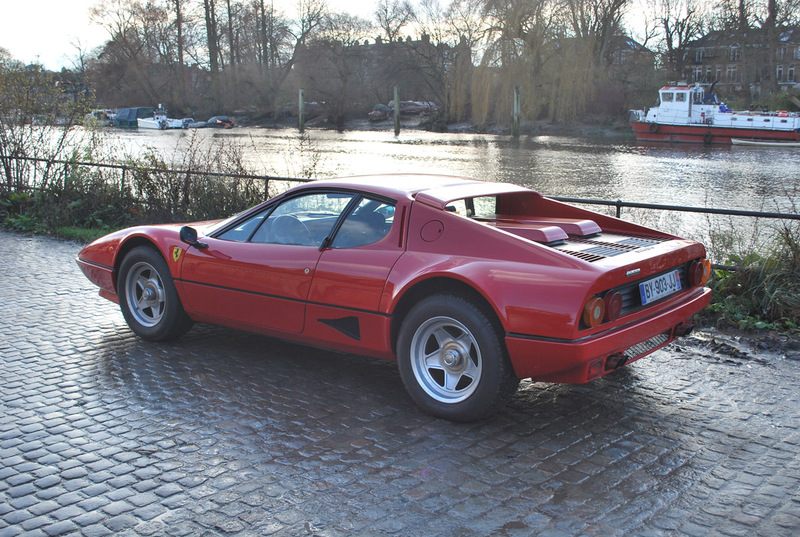 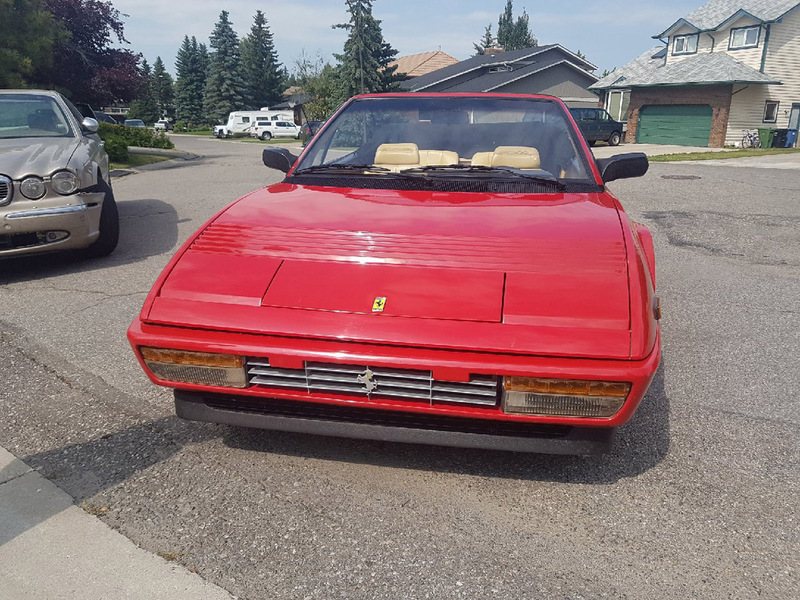 The successor to the Ferrari 288 GTO, it was designed to celebrate Ferrari’s fortieth anniversary and was the last Ferrari automobile personally approved by Enzo Ferrari. At the time it was the fastest, most powerful, and most expensive car that Ferrari sold to the public. 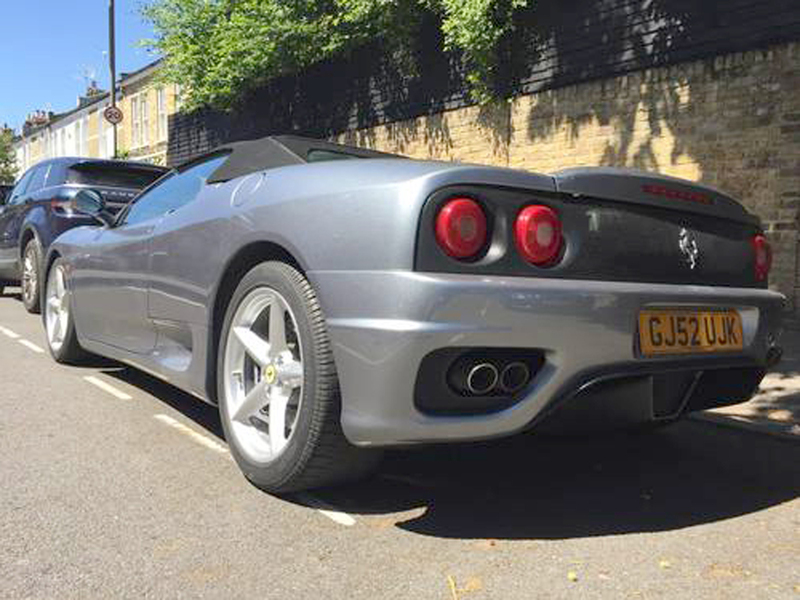 Power came from an enlarged, 2.9 litre version of the GTO’s twin IHI turbocharged V8 developing 478bhp. 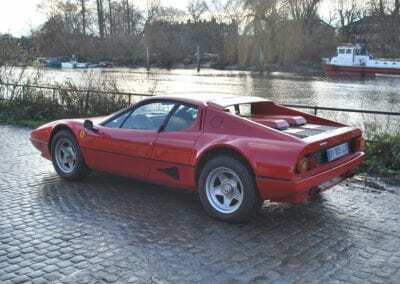 The F40 did without a catalytic converter until 1990 when US regulations made them a requirement for emissions control reasons. 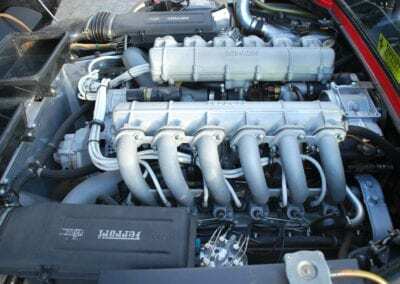 The flanking exhaust pipes guide exhaust gases from each bank of cylinders while the central pipe guides gases released from the wastegate of the turbochargers. 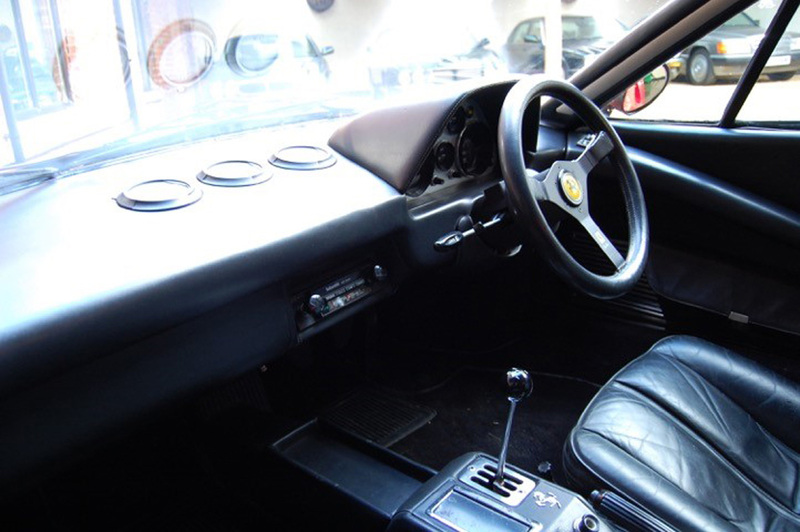 Delivered new to Ferrari importer Kroymans BV in Holland on June 28th 1993 and prepared for racing by a Kroymans’ associated company, Cavallino Racing and subsequently sold to Mr H W te Pas of Dutch Racing Promotions at Blaricum, Holland. 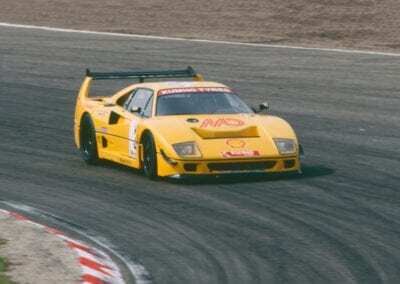 The car was totally restored for racing in 1995 with additional installations including a roll hoop and race suspension by G-Tex (Will Gollop) in England as well as race shock absorbers by Intrax. 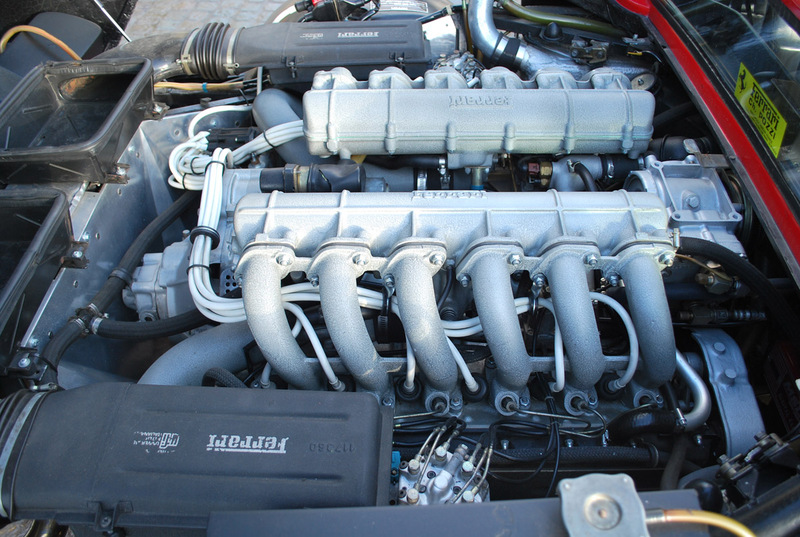 Also installed is a complete Stack instrumentation system and air jack. 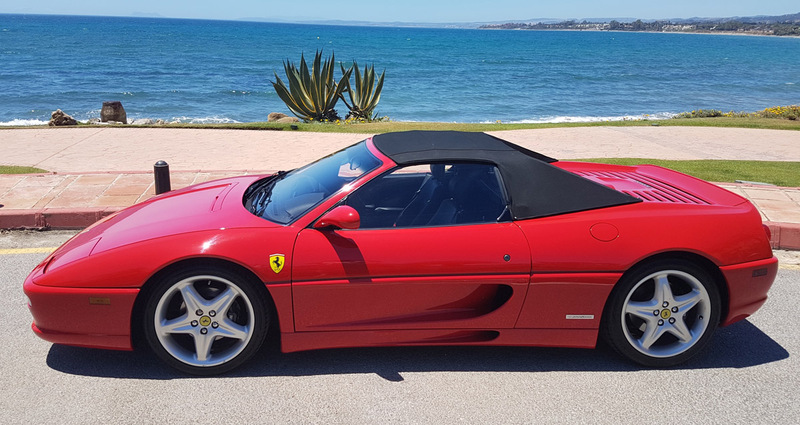 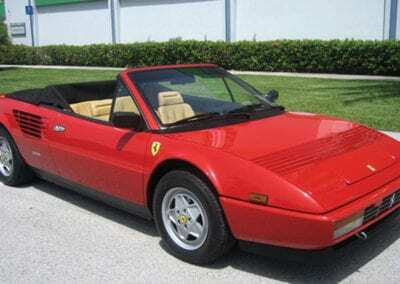 The car was sold in 1998 to Ferrari collector and Privateer racer Michel Oprey. 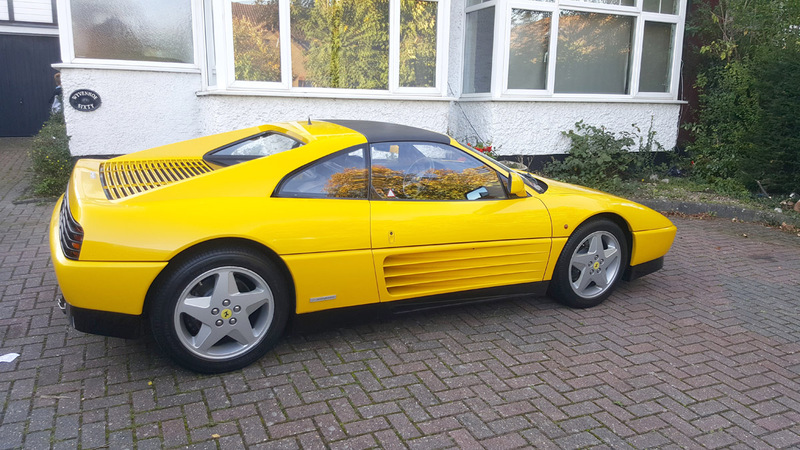 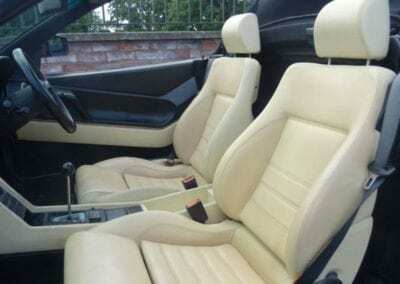 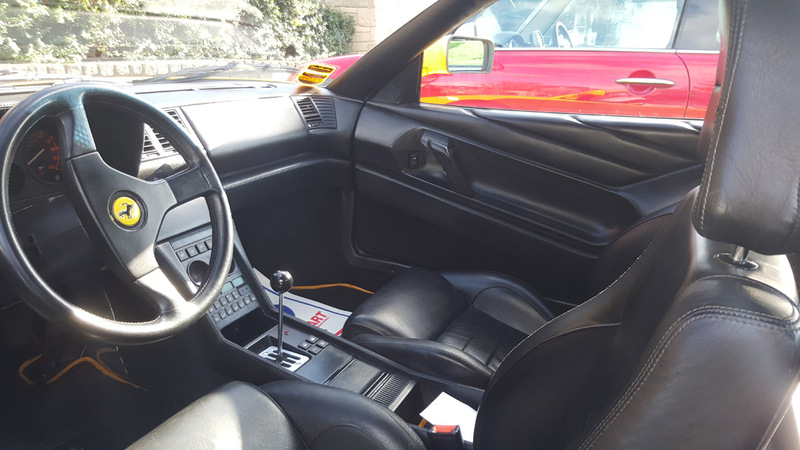 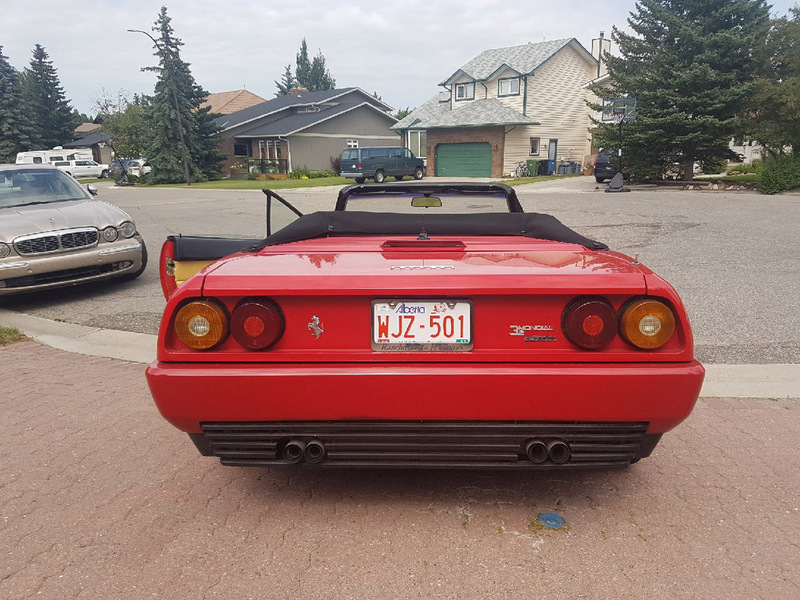 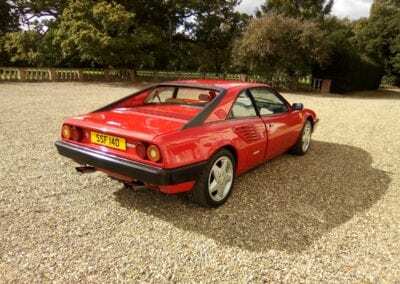 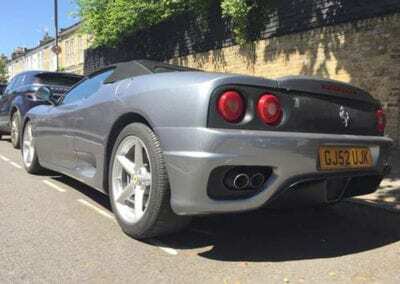 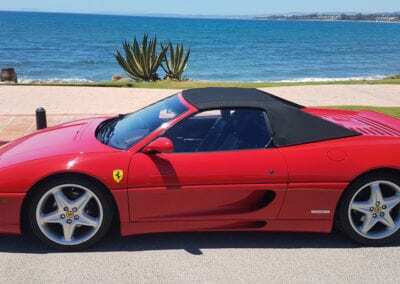 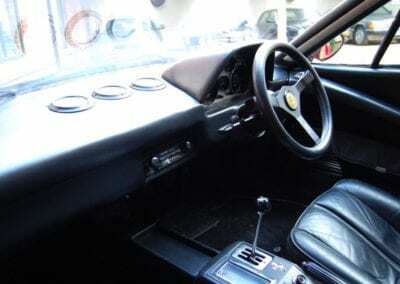 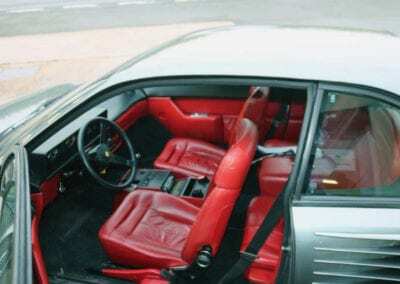 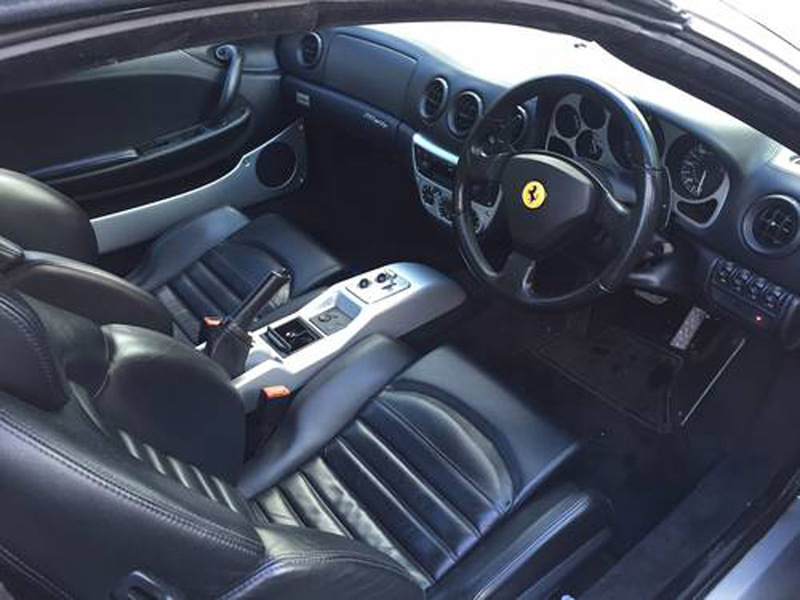 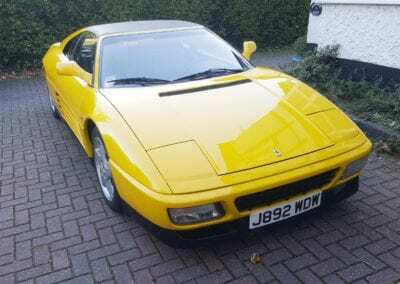 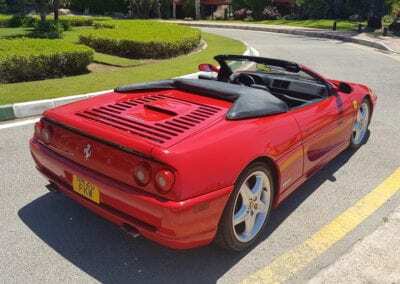 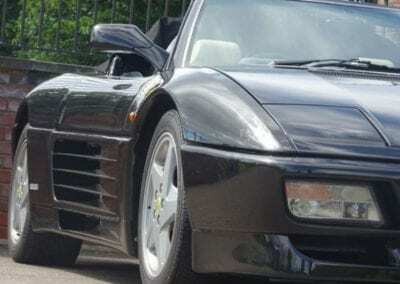 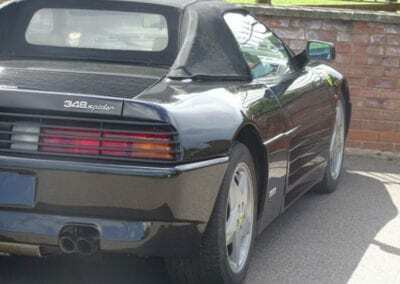 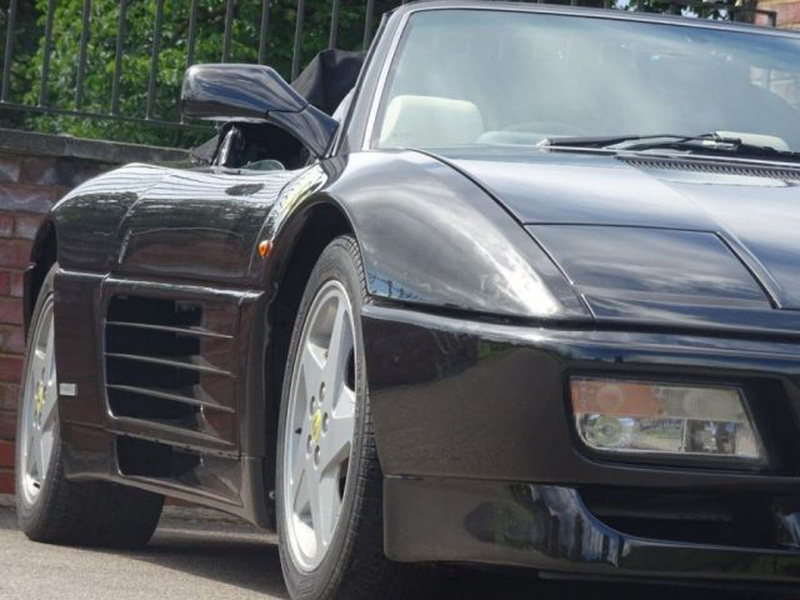 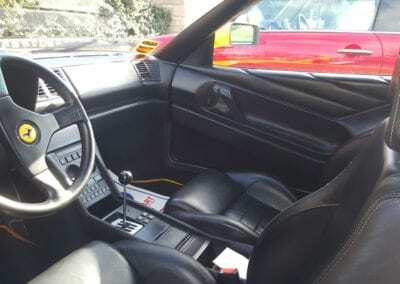 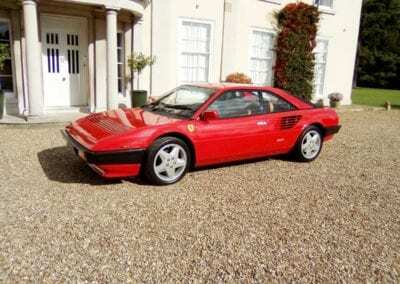 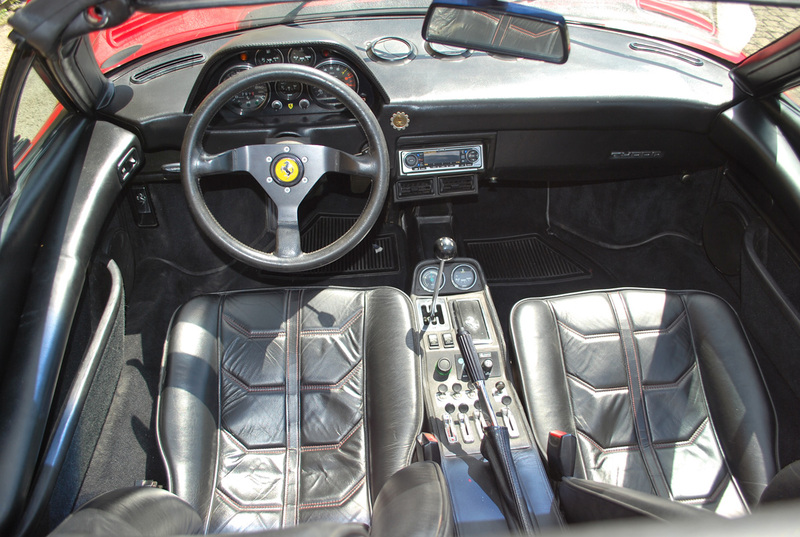 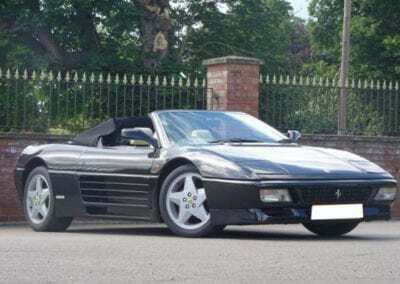 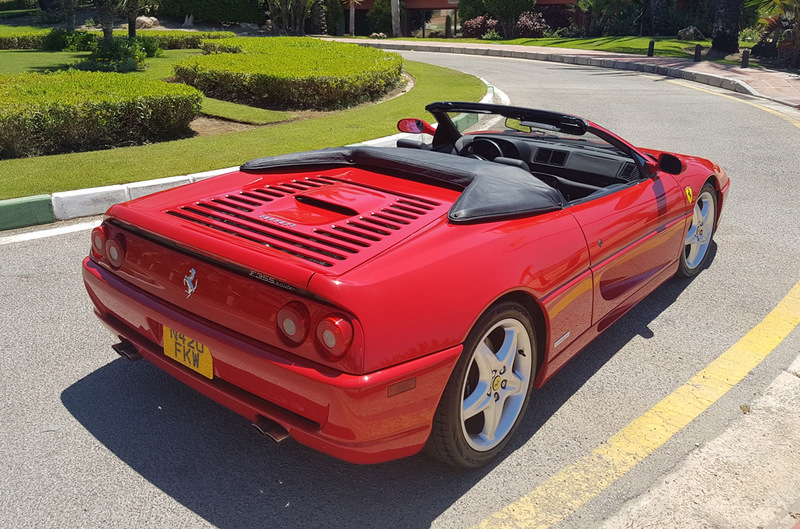 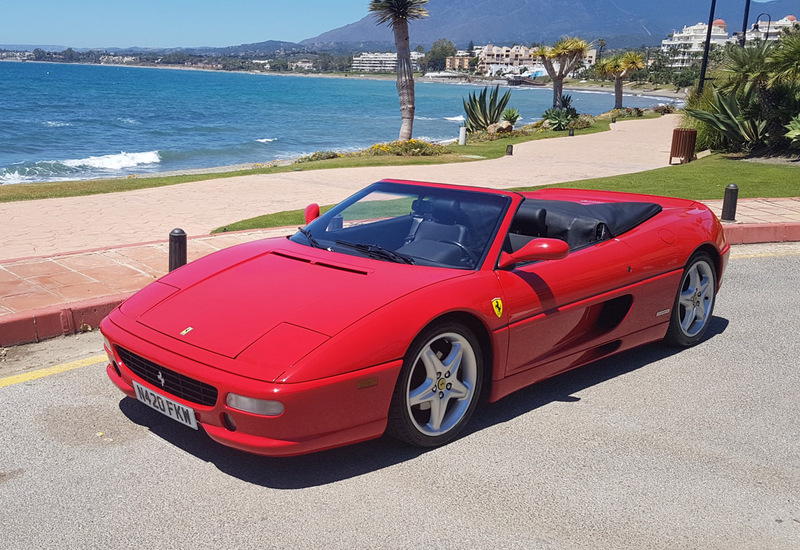 A replacement for his Ferrari 348 GT, both of which he campaigned in the Ferrari Porsche challenge in the 1990’s, the F40 being more powerful and subsequently more competitive. 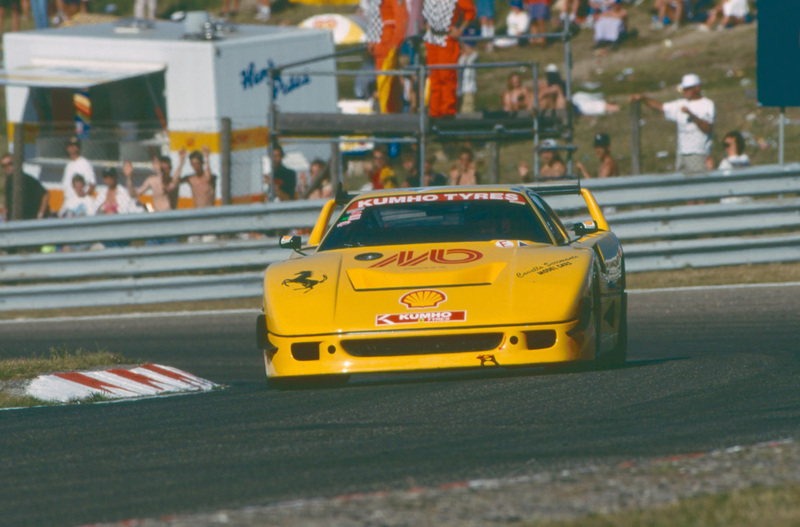 The Ferrari was then sold and raced by Patrick Huisman, David Hart, Mike Hezemans and Hans te Pas on various circuits throughout Europe. 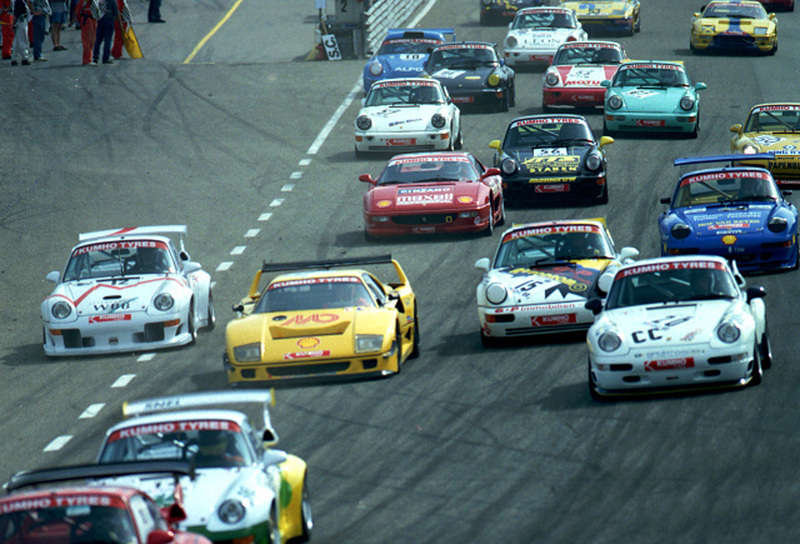 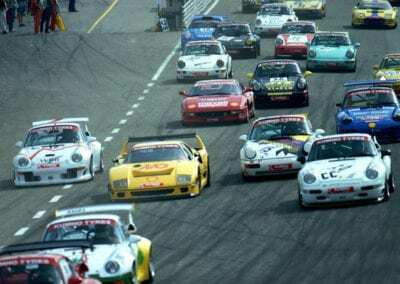 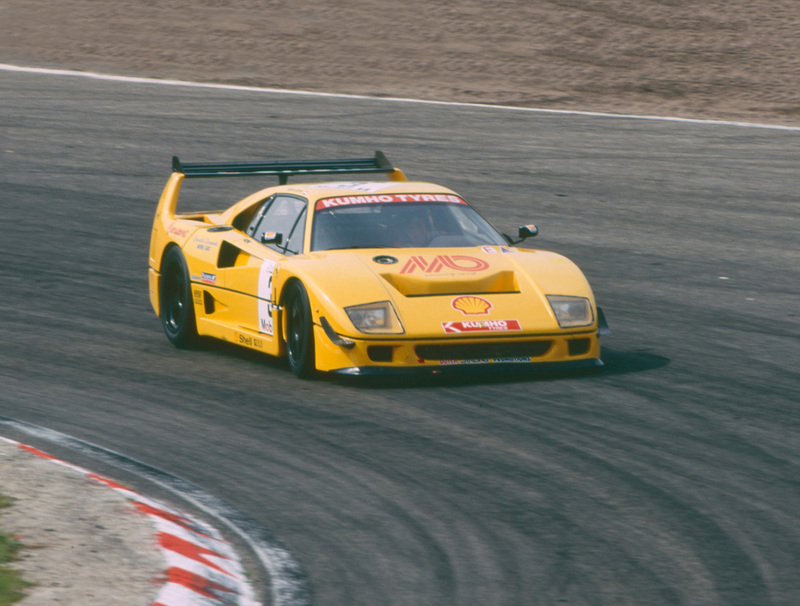 Once again, the F40 participated in the Ferrari Porsche challenge throughout the 2000 season which included races at Monza, Spa, Brands Hatch, Zolder and the Nürburgring. 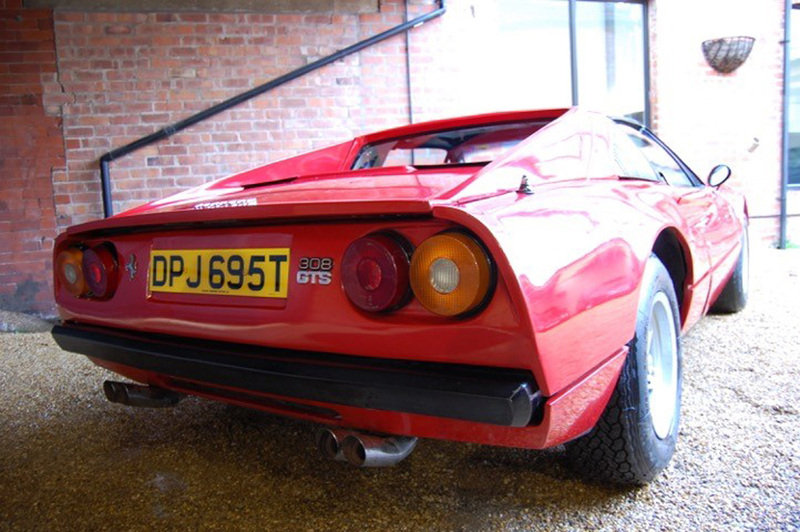 In the late 2000’s the car was laid up at a marque specialists storage facility before being purchased by the current vendor and restored back to its former condition. This wonderful matching numbers example was subject to much restoration work in recent years, invoices from marque specialists confirm over £80,000 was spent on work carried out including an engine, gearbox and clutch overhaul. 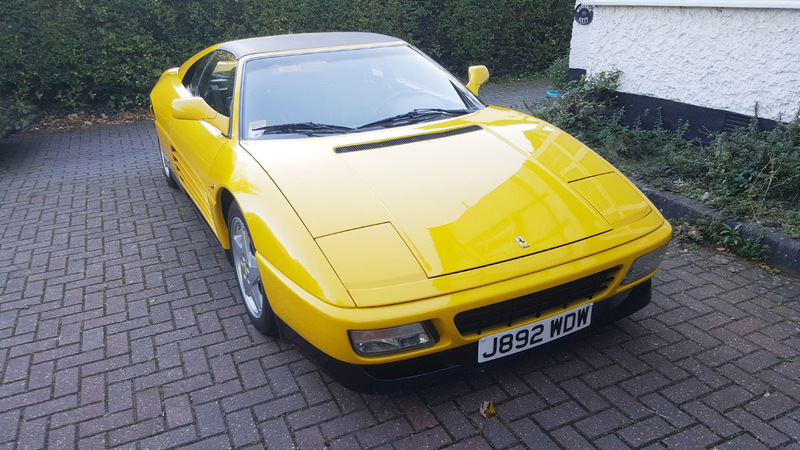 In good running condition and with an excellent provenance the F40 on offer is ready to be campaigned with a new owner. 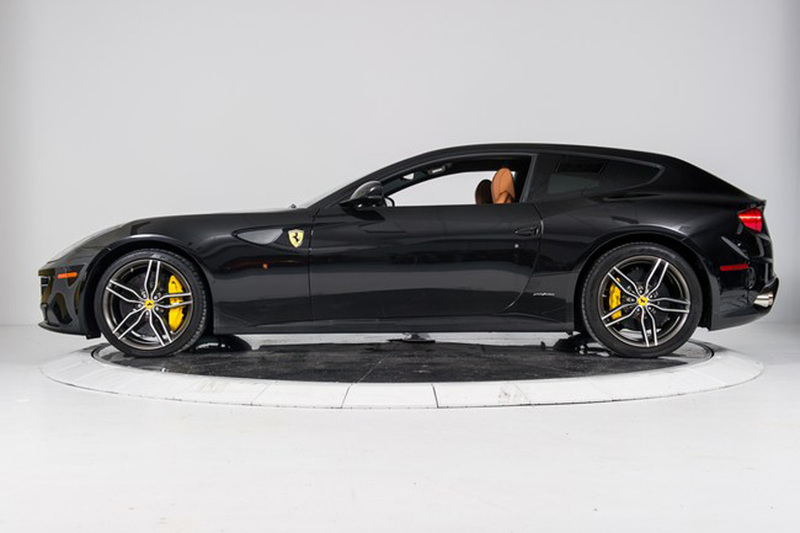 Included in the sale are four sets of racing wheel rims, additional exhaust system and a complete front bonnet (without lights). 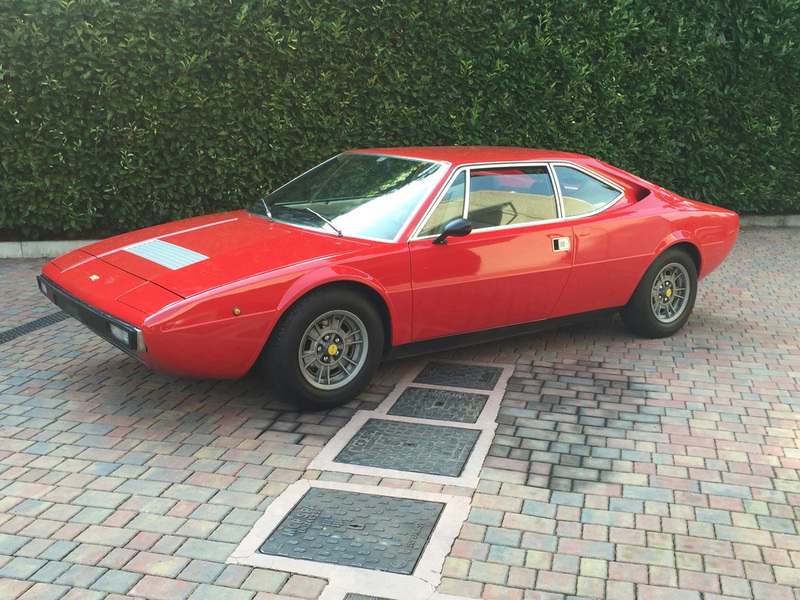 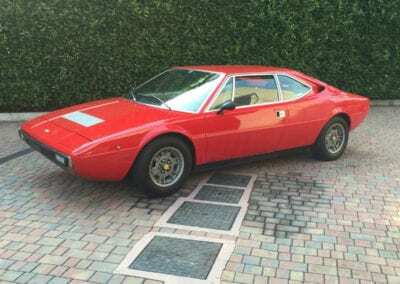 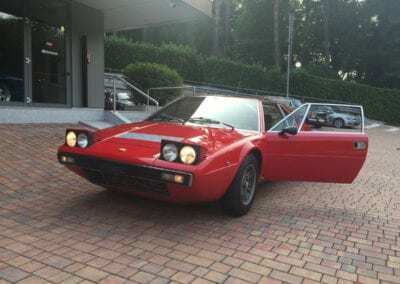 Ferrari’s first mid-engined 12-cylinder production road car, the 365 GT4 Berlinetta Boxer, was seen as early as 1971 in prototype form but did not go on sale until 1973. 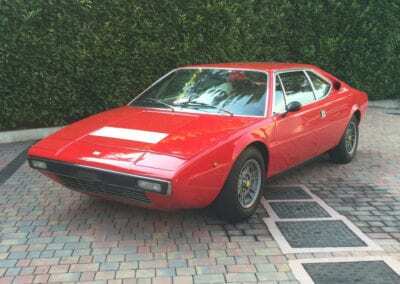 Designed to compete against the contemporary Lamborghini Miura and the newly-designed Countach, the 365 GT4 BB represented a major departure for Enzo Ferrari, replacing the front-engined Daytona. 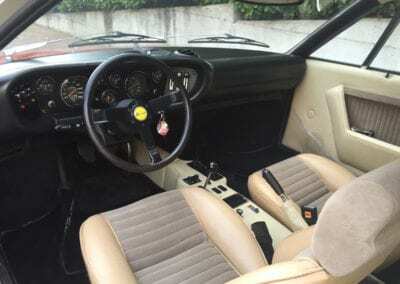 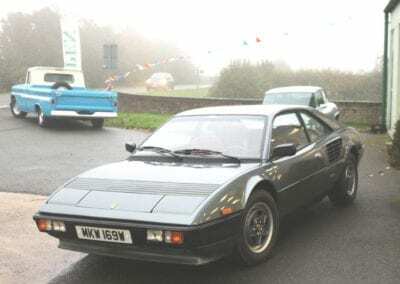 Ferrari had previously been of the opinion that such a powerful mid-engined road car would be too much for his customers, but eventually realized otherwise after the success of the mid-engined Dino racing cars, and of course the V6 mid-engined Dino road cars. Most notably, the 365BB/512BB series was Ferrari’s first with a 180-degree flat 12-cylinder engine in a production car. 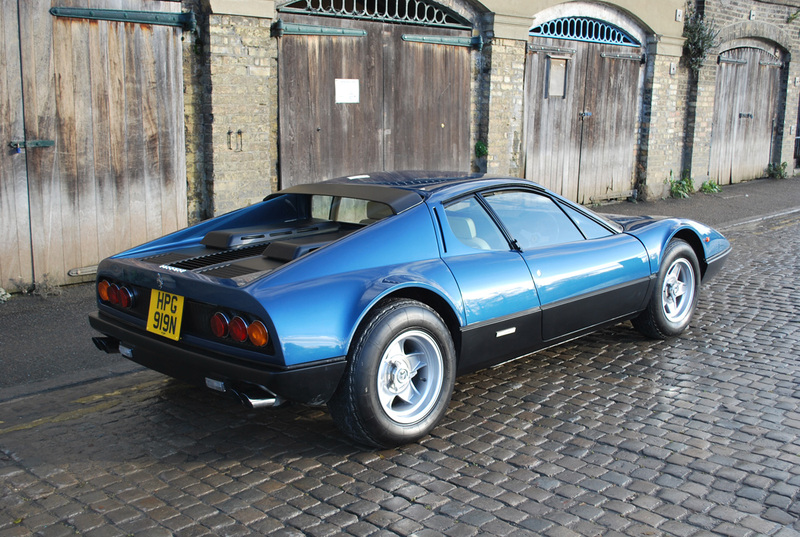 From a design standpoint, the car is unmistakably related to its contemporaries like the 365 GTB/4 Daytona and 365 GTC/4, with its round taillights on its vertical rear and its sloping, dramatic lines. 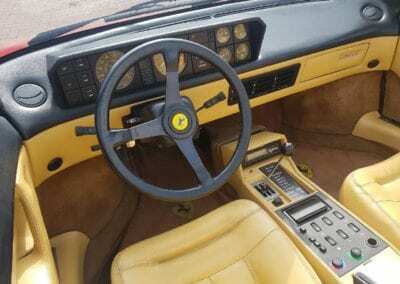 However, it also draws from the 1968 Ferrari P6 Berlinetta Speciale concept car with its mid-engine proportions, razor-sharp front end and visible lights. 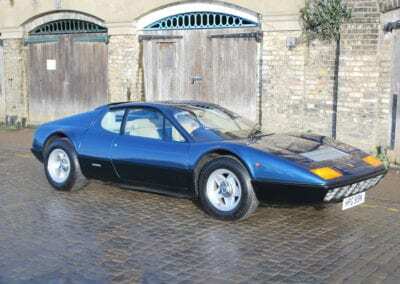 The 365 GT4/BB was clearly a Ferrari while also being something new entirely. 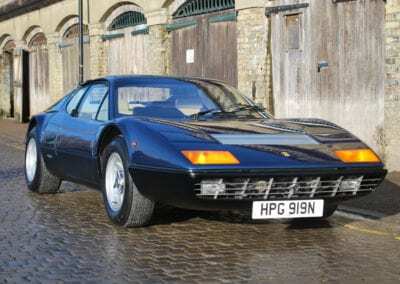 Just 387 examples (of which just 58 were UK right hand drive cars) were produced before production ceased in May of 1976. 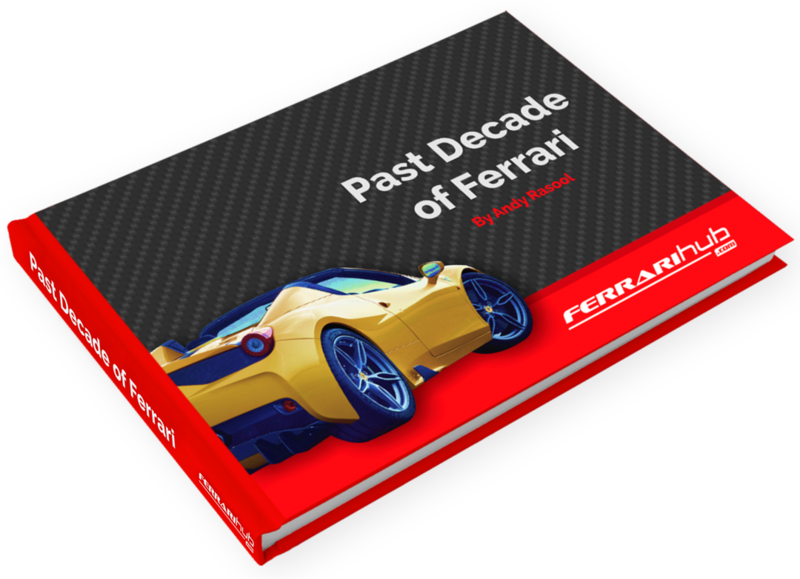 With those few hundred cars, Ferrari ended its incredible front-engine era and opened a promising new chapter of mid-engine excellence in one fell swoop. 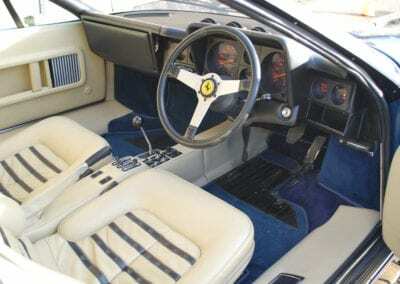 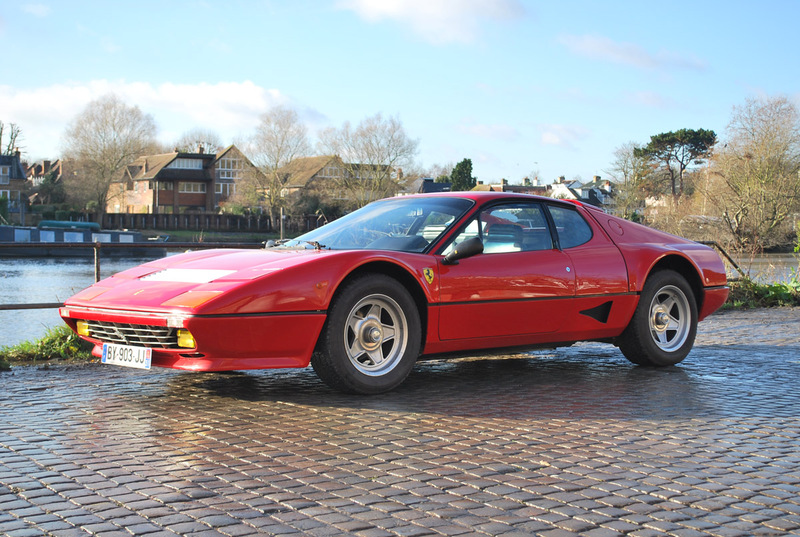 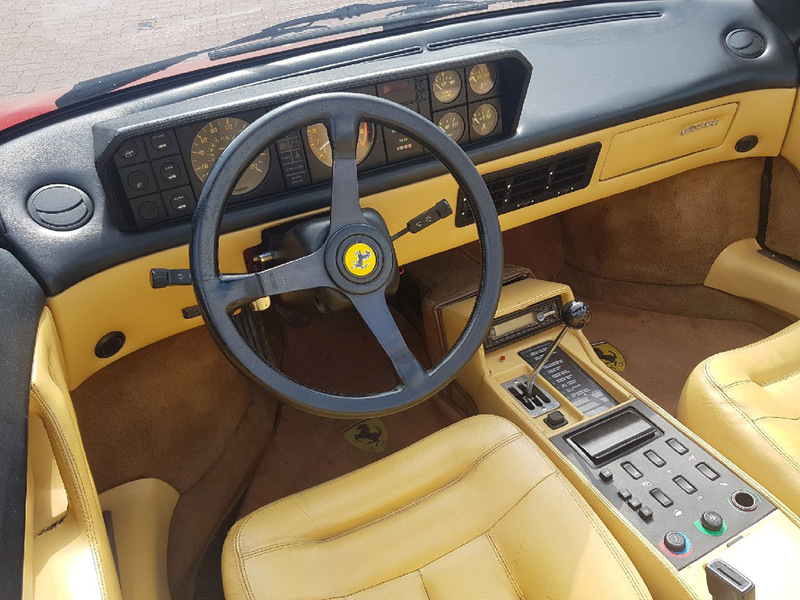 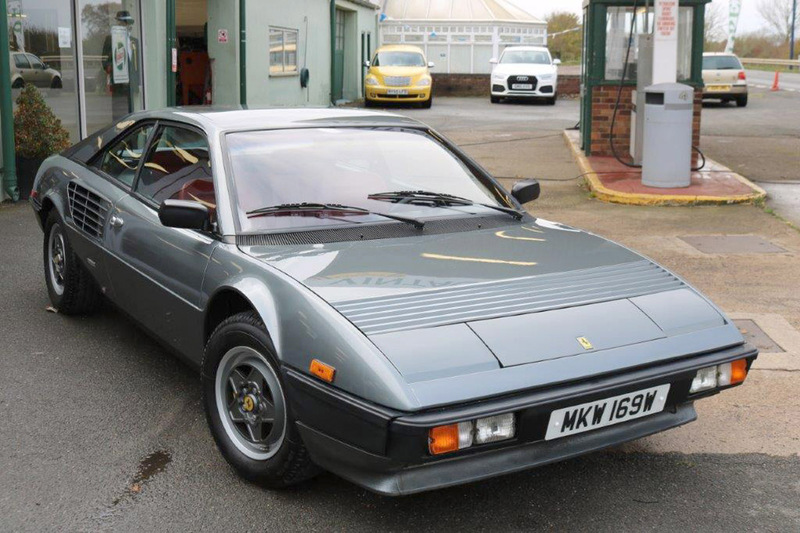 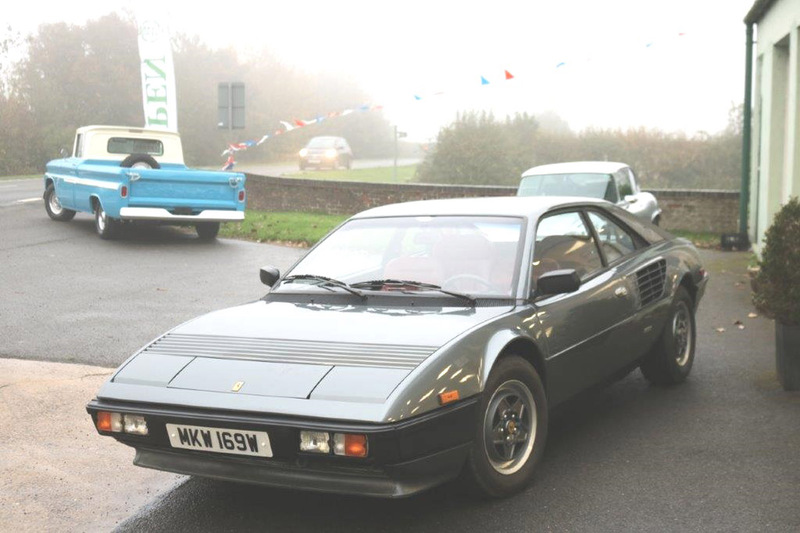 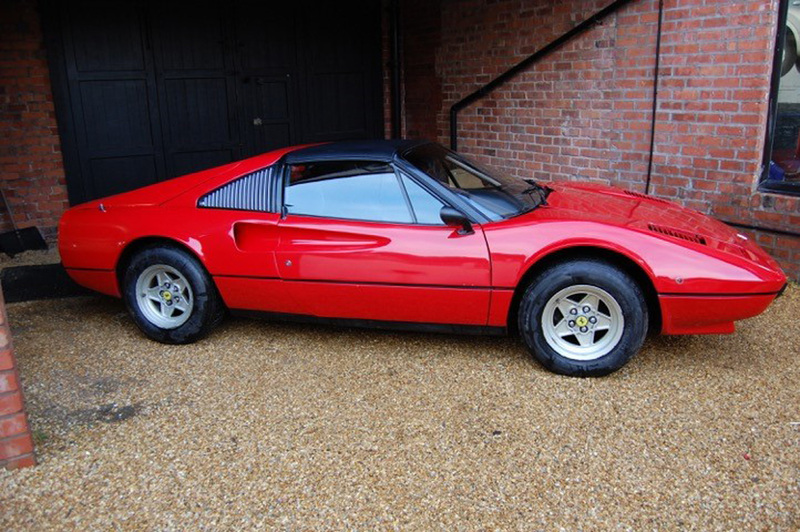 The wonderful example on offer was ordered new in March 1975 by Ferrari royalty Colonel Ronnie Hoare; the chairman of Maranello Concessionaires UK. 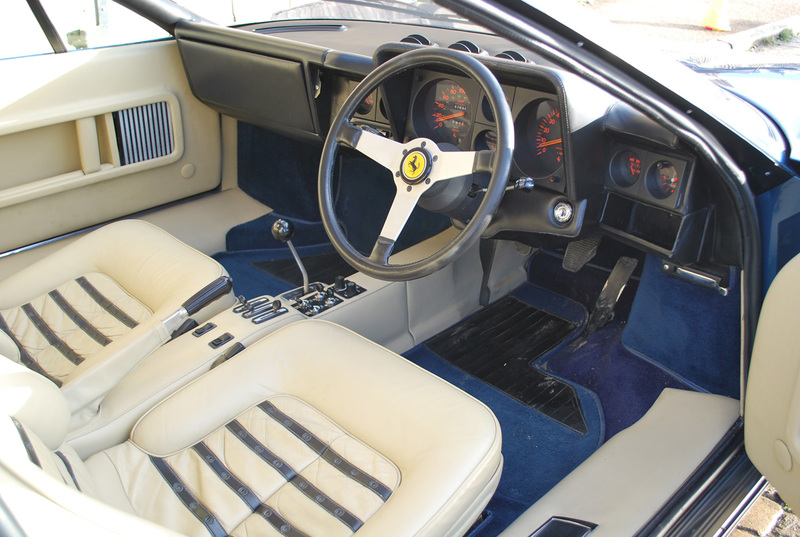 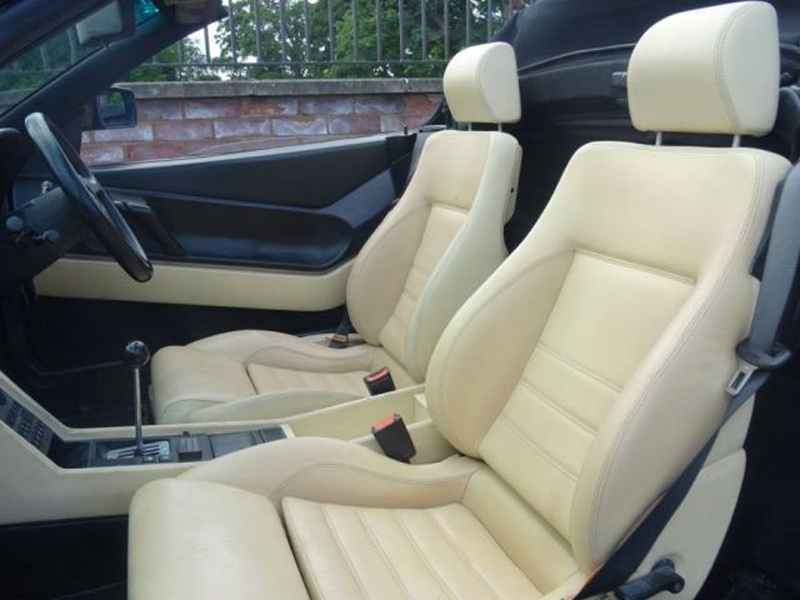 The original order form confirms that the blue metallic Dino paintwork with beige upholstery interior was the original specification. 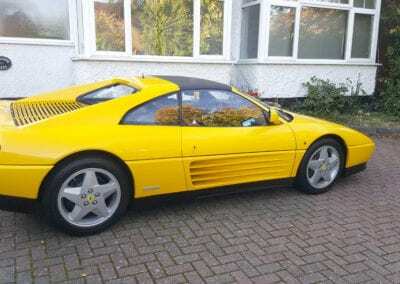 Also supplied new was five wheels and tyres, a tool kit, AC and Radio autovex melody. 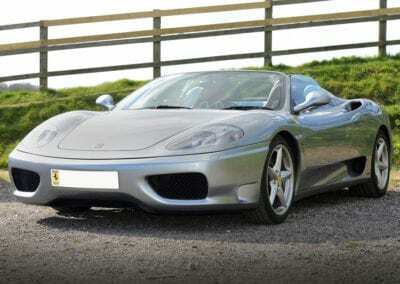 An order form document from marque specialist Tony Willis confirms the above. 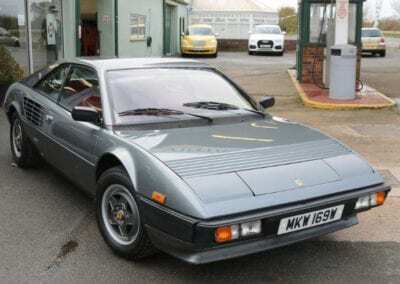 The BB is accompanied by a comprehensive history file which consists of all major work carried out from 1982, including invoices for restoration work and maintenance work from specialist Nick Cartwright as well as many pictures detailing every stage of the restoration process including the bare metal respray that was recently undertaken. 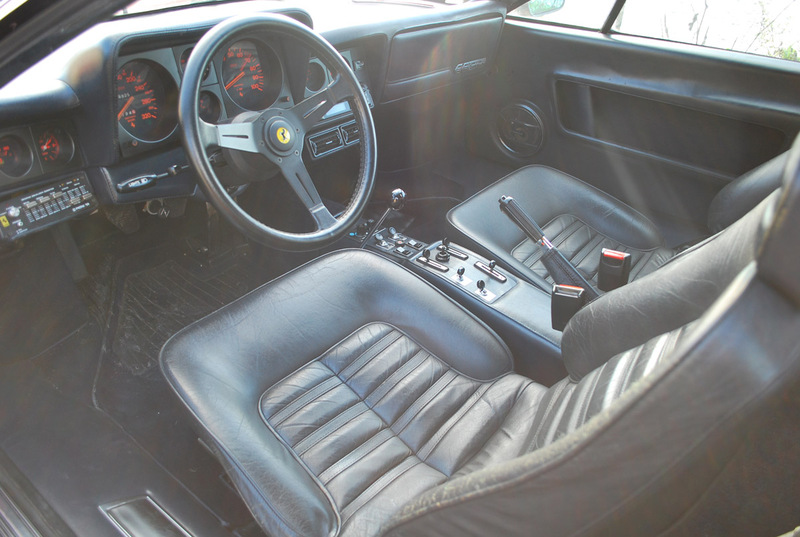 Also included is an original Ferrari tool kit and the original 365GT4/BB alloy wheels (the car currently sits on later 512BB alloys). 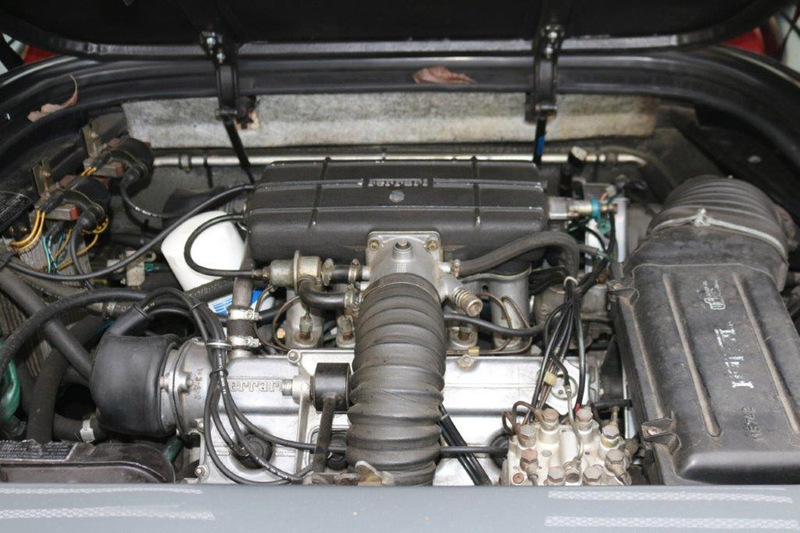 Not only does this BB have great provenance but it also has bundles of character, the few custodians fortunate enough to own this car will know that it drives fantastically, the engine pulls well and the gearbox is smooth. 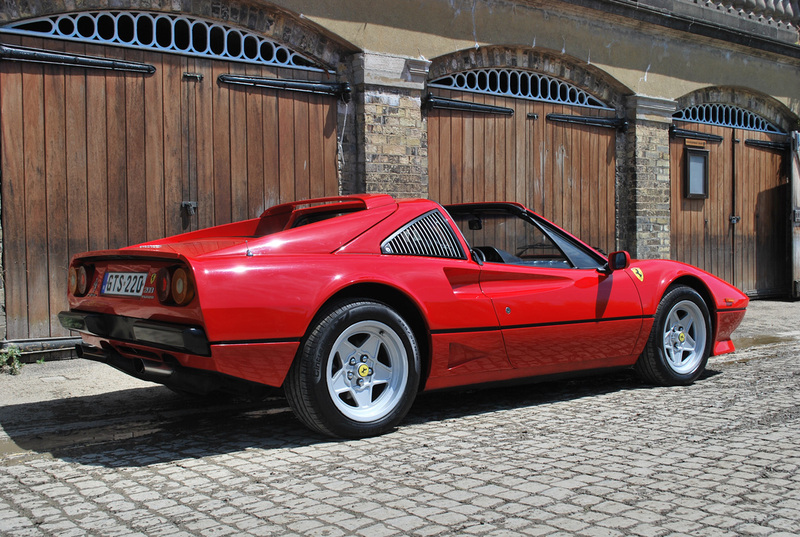 A fantastic handling car with plenty of punch from the flat 12 motor. 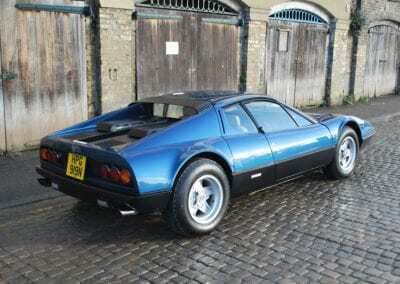 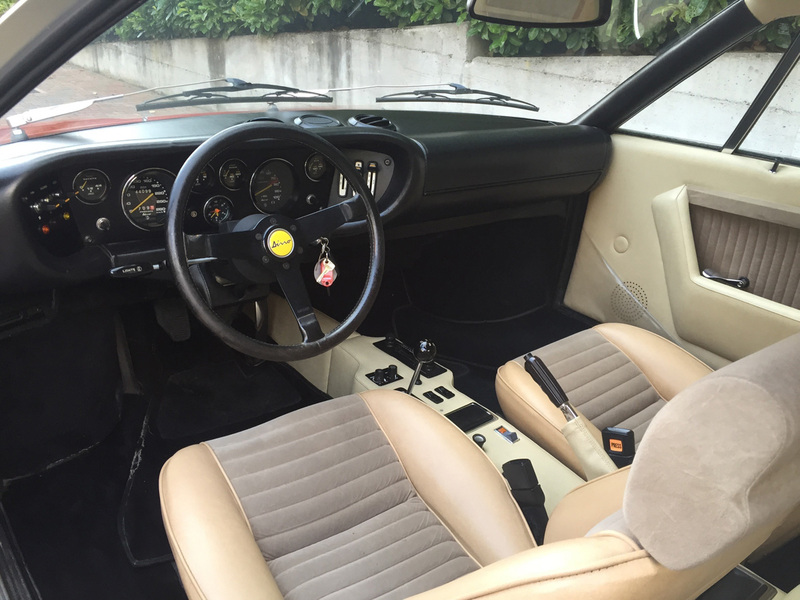 We are sure this early right-hand drive BB must be one of the best on the market today. 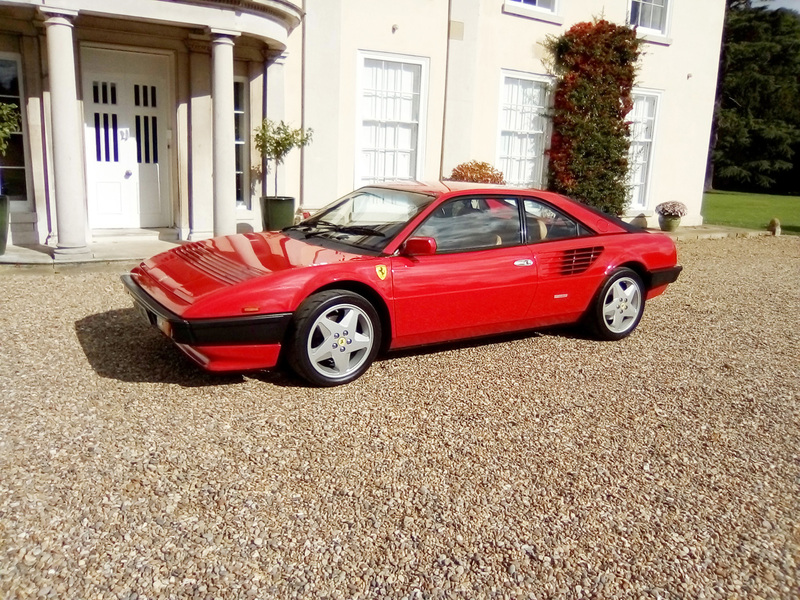 Founder - Although he has been a Certified Ferrari Tifosi since the age of 10, his fate was sealed when at the age of 14 he persuaded a Ferrari dealer in London that he wanted to buy a new Ferrari. 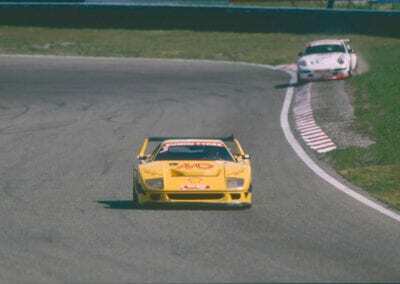 A phone call to his dad the following day soon put an end to that! 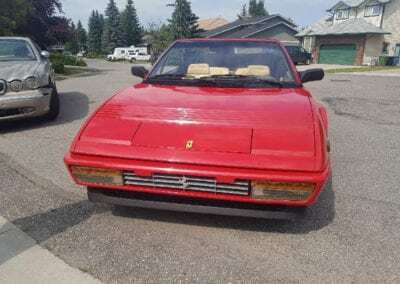 His therapist suggested that to overcome the addiction a healthy dose of Ferrari Blogging and Spotting will help, and with that FerrariHub.com was born! 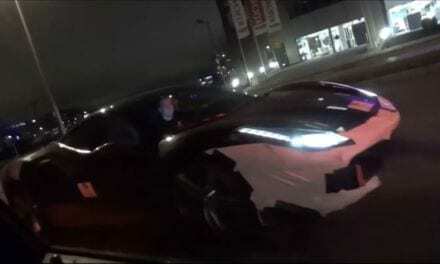 Possible Ferrari 488 V6 Hybrid Spotted – Return of the Dino? 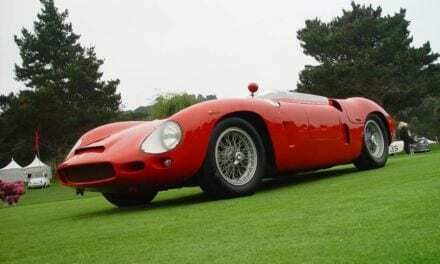 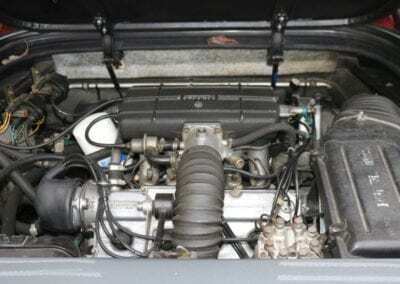 Ferrari 196 SP – The Engine Goes Where?